Scroll down past the overview to find the specific color meanings and symbolism for individual colors. Nature abounds with color. It is as if, at the beginning of time, a clever painter used the world as an intricate canvas. Humans often look to that canvas to find deeper meaning, including spiritual associations. This certainly holds true in our studies of Spirit, Totem, and Power Animals. Kind of gives the phrase “color my world” a whole new perspective. 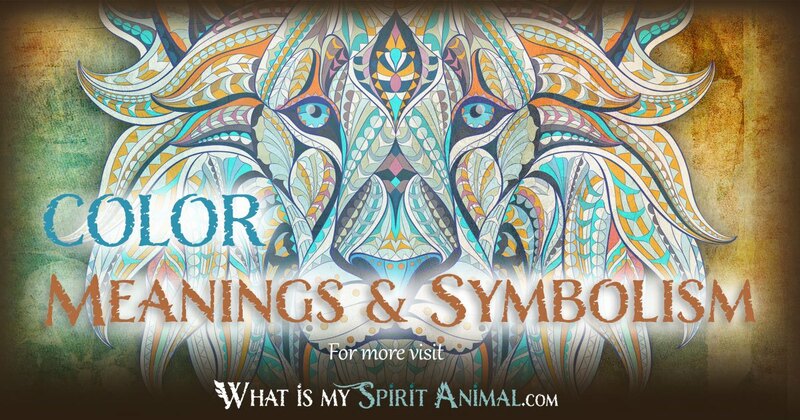 Do color meanings have anything to do with exploring messages, signs and omens from our animal spirit guides? 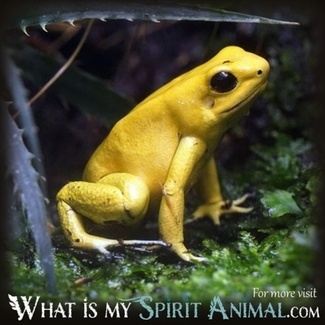 Does color symbolism signify anything when trying to interpret Spirit Animal meanings? Explaining this comes by example. Most people know the phrase “blue bird of happiness”. This developed over thousands of years and numerous indigenous cultures associating blue birds with joy, health, renewal and the coming of spring. 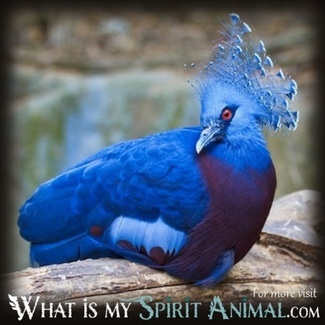 So if you have a blue bird as a Totem, you are very likely a happy person that spreads good vibes wherever you go. Or, perhaps a blue bird appears randomly on your path one day. That may be an omen of very good things coming your way soon. From a color psychology standpoint all hues tie to intention and impact. Each color has a specific vibration that affects the way we feel, think and process the signals the Universe provides. 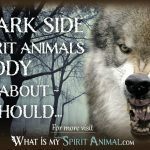 As you become more aware of this connection, it supports your endeavors in working with animal guides and spirits as well as with nature as a whole. The purpose of this article is providing you with a starting point in the world of animal colors and meanings. We would add, however, that how each person interprets a color is often very personal based on experiences you’ve had in life. Do not be afraid to trust your gut instincts while working with color and animal guides. That process is very rewarding and reveals much about your inner world. Red has strong associations with the planet mars. In the animal world it represents life’s blood, primal drives and intensity. Humans often perceive it as an elemental fire, filled with action, passion and effervescence. The zodiac sign that rules Red is Aries, the Ram characterized as being adventurous, zealous, confident, energetic and a bastion of courage. The numerology of red is one, and if red had a mantra it would say, “I am”. 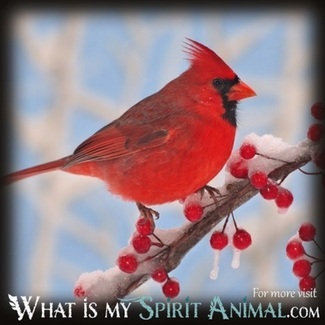 So how does red affect the meaning of a totem or spirit animal? Let’s return to the bird illustration. How about the “red, red, robin”? Folklore tells us that when we see a Robin winter is finally over and Spring is just around the bend. As a result, the red Robin presages hopefulness, renewed energy, happiness and a sense of clarity. Those with a Red Robin totem are speakers of truth according to Native American traditions. They are lively, healthy people always ready to “wing off” toward something new and exciting. Or how about sighting a red Fox? The Fox is a messenger. The red Fox may be telling you to watch how you use your energy, or that you need to refill that inner well. Where red sparks, orange has a subtler impact on our minds. It comes under the rule of Mercury, that governs communication, intelligence and comprehension. The associated Zodiac sign is Gemini, a charismatic, adaptable vibration. The numerology of Orange is number two, providing balance and satisfaction. Overall, Orange symbolizes peace, hope, social interaction, personal serenity and a keen intellect. Applying this to the natural world the first animal to come to mind is the Vibrant Tiger. This is a creature of great strength and integrity. The Orange Tiger spirit guide speaks to us of using those ethics as a core, granting a sense of self-knowing and the ability to really be comfortable in our skin. If Orange Tigers begin showing up in dreams, advertising, etc. it signals a time of reflection. Get away from the chaos and find your center. There are certainly other orange creatures in nature ranging from the Clown Fish and Julia Butterfly to the Baboon Tarantula (translating to Fish, Butterfly and Spider Totems and guides). To each of these omens or helpers orange adds the spirit of cooperation and fulfillment. Yellow vibrates with inventiveness, positive energy, confidence, communication and precision. Like the Sun who rules this hue, Yellow radiates outward, shining a light on the shadows in our lives. The Zodiac sign associated with Yellow is Leo the Lion, full of ambition, drama, enthusiasm, idealism and overall warmth. In numerology Yellow is the magical number Three (for body, mind and soul connection). Our Leo sign makes an excellent illustration of Yellow in nature. The king of the jungle has a voice and isn’t afraid to be heard. Those with the Yellow Lion totem enjoy the spotlight, but they also have a very soft spot for the members of their pride. In dreams a yellow lion often represents the need to find your words, your message and deliver it with confidence. Some other yellow creatures include certain Beetle species, some Butterflies, Fiddler Crab, Yellowtail fish, baby Ducks, Canaries and the Yellow Mongoose. If any of these creatures appear to you or come to guide, their basic symbolism mixes and mingles with yellow’s sunny disposition. For example, the Canary is a song bird representing joy, inspiration and life’s sweetness. Gracious, growing green. The color inspires thoughts of vibrant landscapes rich with new growth. Green is the color of health, youthfulness, steady progress and even a hint of romanticism. This sentimental air comes heavily from the influence of Venus, the planet named after a Goddess of love. In the Zodiac green corresponds to Libra the scales offering symmetry passion, appreciation for beauty and overall balance (physically this includes our Chakras). Numerology aligns with the number four that has strong foundations and taps into various powerful natural symbols including the Four Winds, the Four Cardinal Directions and the Four phases of the moon. Examples of green creatures include the Anole lizard and the Praying Mantis. The Anole can alter their skin color to various shades of green that gives it natural protection. The lizard is a survivor who offers balance and ancient wisdom. 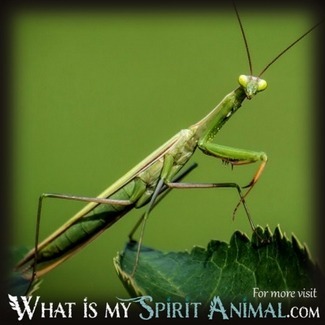 Meanwhile the Praying Mantis is a messenger of the Divine, often prophetic in nature. He reminds those he teaches of the value of patience and mindful living. When other green creatures appear in your reality they may presage a time of personal growth or renewed health. Alternatively, if the creature isn’t friendly ask yourself if you have become hard-hearted. If so, it’s time to embrace love, including self-love, again. Look to the sky — that is the freedom and imagination of the color Blue. This gentle color has global appeal and an air of sensitivity. Jupiter rules the color blue. Named after the chief God of the Roman pantheon, there’s something “larger than life” in blue’s vibration. There’s good fortune, abundance, positivity, justice and balance. Astrologically Blue corresponds to the sign of Sagittarius, the archer. The people born under this sign are philosophers and thinkers endeavoring to get to the bottom of that huge question: what is the meaning of life? Numerologically Blue is 5, calling all our senses into play for greater understanding. In nature blue is a rather rare color, but that doesn’t mean your Animal guide or Totem can’t appear any color it wishes! Some of the earth-bound creatures that have blue coloring include the Southern Crowned Pigeon, British shorthair cats, and the Lear Macaw. Pigeons represent home and security, Cats have mystery and magic in their paws, and the Macaw is a guardian and the harbinger of summer. 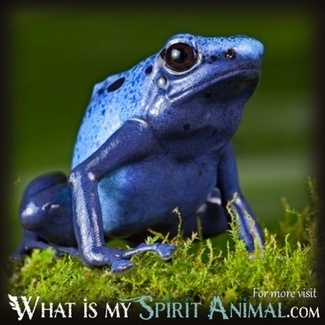 If your power animal has turned blue, there is certainly a big message afoot. Many times it means that you need to think and live “bigger”. When blue animals begin appearing in your life, it’s a good sign of better things ahead (fair skies!). Indigo and Blue are kissing cousins of sorts. Indigo vibrates with similar energies to Blue but its more profound. Indigo taps the depths of our intuitive, emotional self and years for expression. It is changeable and adaptable. Indigo comes under the influence of the planet Saturn, named after a god of the harvest. This gives indigo associations with opportunities and reaping what we have sown. Saturn removes the old, and opens new pathways. This combines with the Zodiac sign of Capricorn (Goat) who is very driven, smart and financially savvy when opportunity strikes. In Numerology Indigo resonates with 6, the number of our Higher self and ideals. It also has the vibration of good fortune. In nature it is often hard to separate Blue from Indigo. The tropical Honeycreeper (bird) and the ribbon eel appear nearly this color visually. This is one instance where your personal vision matters greatly. 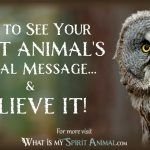 If you think an Animal messenger is Indigo, then be ready to adapt to something completely different. They will guide you in this transition. Violet is a very spiritual hue. It represents the best of our Human self, the ability to commune with the Divine, dedication, service to others, sensitivity, nurturing and profound peace. Violet’s planetary association is Uranus, named after the Greek god who sparked all of creation. Here we have some sexually charged energy but in a more profound and sacred way. Uranus’ influence manifests in Violet with artistic vision, inventiveness, personal awakenings and often surprises of great magnitude. The Zodiac sign that corresponds to Violet is the Water Bearer Aquarius. This is a vibrant, refreshing sign that endlessly pours out the waters of new beginnings equitably and freely. That energy vibrates throughout Violet endowing knowledge, individuality and health. The number for Violet is 7 – the number associated with the rainbow and creation. Violet inspires seeking out the underlying truth of any matter. It dispels illusion. Three of the naturally purple animals that embrace their Violet characteristics include the Purple emperor butterfly (a free, empowered soul), the Violet sea snail (the seeker on the path) and the Purple Martin, whose lesson is peaceful cooperation and precise team work. 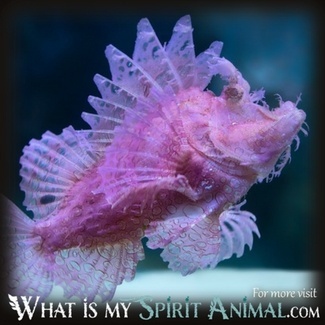 When violet creatures stray into your visions or life, it is most definitely a soulful moment. This is the time when your eyes open on new levels. Listen to your animal companions about creating your own rainbow of hope. Black is the color of night, and the hue that embodies all other colors. Black is formal, forcible, traditional, grounded and lacks tolerance for avoidance or trickery. It’s planetary ally is Pluto, that purges outmoded ways of thinking and feeling and replaces them with deeper truths. There is primal spiritual energy here – black can put us in touch with our secret longings and desires. Pluto’s energies combine with the sign of Scorpio in all its inquisitiveness. The urge to know, to understand is ever-driving here. There is also undeniable psychic aptitude. Scorpio is a sign of destiny and possibilities. 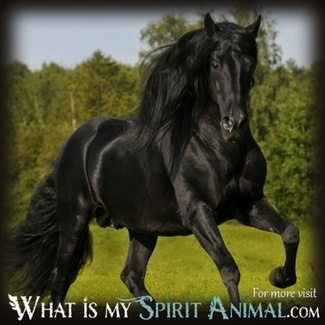 In general, black creatures encourage stability, safety and healing. In Numerology Black bears the number 8. This is the number of careers, authority and finances. Is it any wonder we often don black at important meetings? Eight brings karmic balance in its wake along with a sense of realism and keen-mindedness. Among our Animal guides and allies much has been written about Black horses, cats and dogs. The Black horse represents endings and beginnings. As a Totem it symbolizes a drive to close one door through a leap of faith and open the next. This drive has nothing to do with logic but rather a deep swelling voice that says GO. Black cats have divergent meanings depending on the culture. By far the most positive writings about black cats come from the east where they bring good fortune, prosperity and romantic prospects. Black cat as a spirit animal often brings magic and mystery in its appearance. Be ready to claim control over your fate (but not over the cat!). Black dogs are also somewhat contrary. However, a black poodle can bring luck and money to the owner. In dreams black Dogs can be a warning of impending danger. If these or other black creatures begin imprinting on your mind, take a moment to ground yourself and consider if the proverbial wool has been pulled over your eyes, leaving you in the dark. Alternatively these animal spirits may be encouraging you to consider your traditions and embrace them more fully. White is brilliant and pure and the absence of all color. It typically symbolizes cleansing, spiritual enlightenment, virtue, peace and Divine energy. White is a wonderful facet of the Feminine divine in our perception. It is the light that radiates from angels and other mystical beings including Animal spirits. White resonates with the Moon. This brings reflectiveness, creativity, philosophical insights, psychic impressions and emotional awareness. White’s zodiac sign is Virgo, providing stability, foundations, team work, humility and a sense of organization. The Numerological association for White is the number one – the beginning; the Divine singularity. This is the number of illumination and enlightenment. In nature there are very few creatures that are all white. Albino genetics account for the rest. These beautiful white creatures with pink eyes include Crows and Kangaroos just to name two. In Native American traditions white Totems are sacred, and their earthly counterparts protected. This was particularly true of the White buffalo, the bearer of wisdom. A white horse spirit guide brings progress in matters of faith, and may even foretell of a special teacher coming into your life. There are also some animals that turn white in winter including specific species of hamsters, weasels and hares. This transformative ability offers safety against the backdrop of snow and ice. 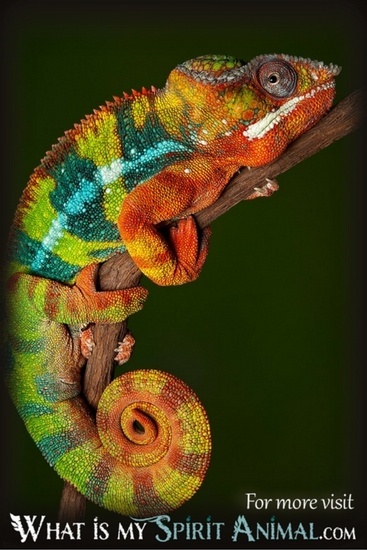 As you can see, Color can impact the way in which we interpret our Animal Totems and Guides. 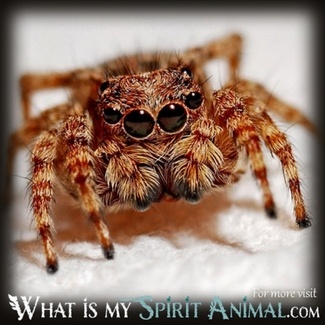 In the spirit realm a creature can appear any color, and if its different than normal you can know for certain there is a message in that change. 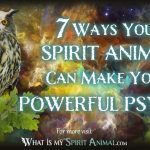 Additionally we can visualize creatures in different colors when calling upon Power Animals for specific goals – the vibration of color supporting your will/magic. Finally colors play a strong role in folklore, superstition and symbolism throughout the animal world in all cultures around the globe. If you are uncertain as to the meaning of a particular animal, you will find plenty of foundational materials in this website. Then add to that base what you’ve learned about Colors and meanings for greater understanding. 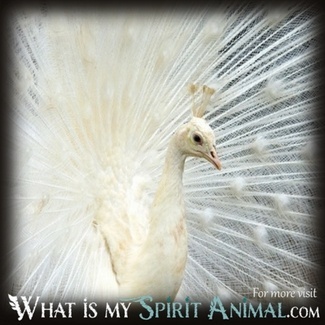 Since colors can mean different things , can a color change a spirit animal’s meaning? I had a vision of the most common looking husky, the dark gray fur with a white underbelly and blue eyes. I assume that’s my current spirit animal at the moment. Though the vision had those colors, does my interpretation have to be the same? Can I change my animal’s colors without affecting anything? I want brown fur and brown eyes instead of the given colors. Can I do that? 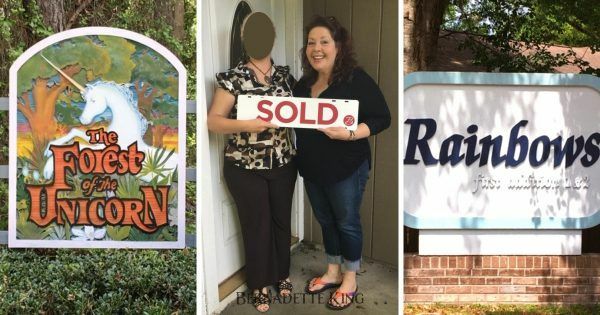 What color is associated with the sign Cancer?